In this sequel to FLANK HAWK, the war against the Kingdom of Keesee continues as a new enemy enters into the foray. Fendra Jolain, the Goddess of Healing, sends her army of men and magical beasts against King Tobias’ forces. The war is brutal and even with allies, the king knows he needs a miracle or strong magic to win against the hordes of beasts sent against him. 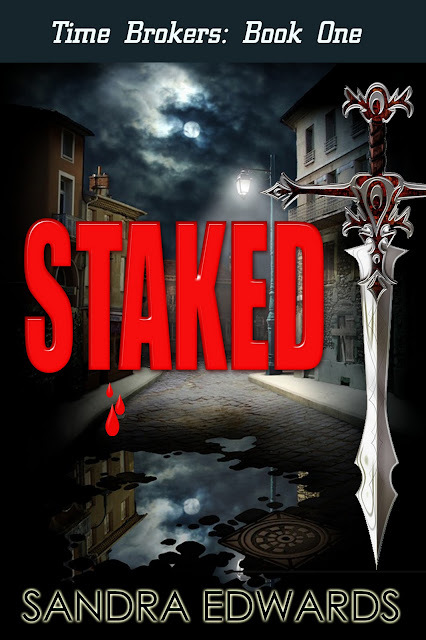 To stop the goddess, he needs the magic of an ancient relic, the Blood Sword; the only weapon that can kill Fendra Jolain. King Tobias once again sends mercenary Flank Hawk, scout Lilly, air wizard, Seelain, and a small contingent of fighters to retrieve the weapon from the immortal Colonel of the West. The challenges the group faces as they travel across Keesee seem insurmountable, but through sheer determination and a bit of luck along the way, they make it across the ocean to Outpost 4 where they can ask the Colonel for the sword. But all is not well for the Colonel either. He’s struggling in a war on the western continent and the communication system at Outpost 4 is destroyed forcing Flank Hawk and his group to travel overland to reach the Colonel at his central outpost. Along the way they meet more magical beasts: ogres, satyrs, and centaur warriors. The author does a great job melding all of these magical beasts into the story of war, loss, loyalty and friendship. Used as a pawn in the war of magic, Flank Hawk steadfastly refuses to give up as death and destruction pile up around him. His indomitable spirit shines bright and the final battle between the princes of Keesee and Fendra Jolain is riveting. I would recommend that you first read “Flank Hawk” Book 1 in the Lost Civilization's Legacy series to fully enjoy and understand the genius of the author as he takes you on a journey that once again follows Flank Hawk and his friends as they face unbeatable odds to save the Kingdom of Keesee. The one who loves him can't have him. The one who has him can't love him. Leopold Singer is any woman's perfect match - handsome, brilliant, and rich. Susan Gray and Marta Schonreden. who has the power to destroy everyone's happiness. Approximately 475 pages in print. The Ninth Orphan – an international espionage thriller. 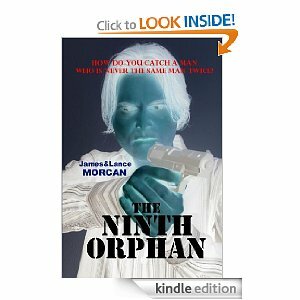 Fast-paced, totally fresh and original, filled with deep and complex characters, The Ninth Orphan is a high-octane thriller with an edge. Merging fact with fiction, it fits the current trend toward stories about shadow organizations rumored to exist in the real world. Tackling genetic selection, mind control, secret societies and a chase around the globe, The Ninth Orphan has intimate character portraits usually associated with psychological novels. It also has a poignant, romantic sub-plot which means it will appeal equally to males and females of all ages. The storyline: An orphan grows up to become an assassin for a highly secretive organization. When he tries to break free and live a normal life, he is hunted by his mentor and father figure, and by a female orphan he spent his childhood with. On the run, the mysterious man's life becomes entwined with his beautiful French-African hostage and a shocking past riddled with the darkest of conspiracies is revealed. Fiji: A Novel – an historical adventure-romance set in19th Century Fiji. Partly inspired by James A. Michener's Hawaii, it is a spellbinding novel of adventure, cultural misunderstandings, religious conflict and sexual tension set in one of the most exotic and isolated places on earth. The storyline: In the mid-1800's, Fiji was a melting pot of cannibals, warring native tribes, sailors, traders, prostitutes, escaped convicts and all manner of foreign undesirables. It's in this hostile environment in our story that an innocent young Englishwoman and a worldly American adventurer find themselves. Despite their differences, there’s an undeniable chemistry between them. When their lives are suddenly endangered by marauding cannibals, they are forced to rely on each other for their very survival. 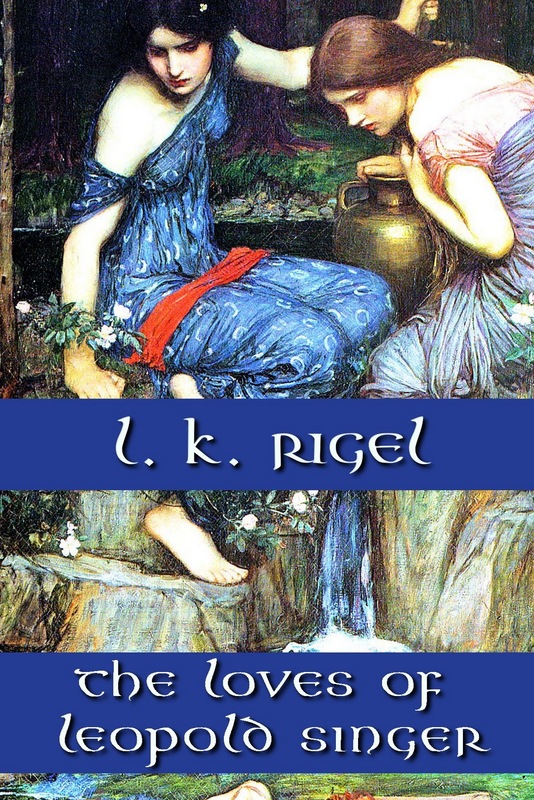 With the strong themes of love running through what is essentially a fast-moving and sometimes violent adventure story, this novel appeals equally to male and female readers. It has already made an appearance in Amazon’s top 100 list in its Historical Books category. Yes we certainly did. We had several publishers and lit agents advise us they believed The Ninth Orphan was a potential bestseller, but because of the financial climate and because we were unpublished authors etc. etc...they wouldn't commit. We finally secured a publishing offer from a UK publishing house, but because they showed no urgency, we decided to self-publish. We formed Sterling Gate Books and published the novel on Amazon. As for Fiji: A Novel - Several years ago, we secured a US publisher for it, but the publisher ended up in breach of contract and we took back the rights, formed Sterling Gate Books, and the rest is history. No. I don't believe in such groups. I'm of the school that believes the best way to improve your writing is to write (and read...though I don't have much time for reading unfortunately). Being unable to secure a contract that stuck and being let down and/or not supported by those publishers who did show interest in our literary work influenced us to self-publish. We decided to go with Amazon because they seemed the most professional and influential in this field. No. Finances did not permit that luxury at the time. Anyway, I'm a former newspaper editor, and both James and I are fastidious in the proofing of our novels, which have undergone numerous rewrites of our own volition. Self-publishing is a viable option to traditional/conventional publishing. High concept storylines and quality writing are still prerequisites for success, no matter who the publisher is. That aside, smart network marketing/social networking of your books certainly helps fast-track them into the bestseller lists. Yes on CreateSpace (Amazon's print division) and in certain libraries and bookstores around the world courtesy of Ingrams who, I understand, buy books direct at wholesale rates. And I've sold some direct to libraries here in New Zealand. We have a presence on several sites including Twitter, YouTube, Goodreads, Google+, Shelfari, LinkedIn, the film industry site IMDb and, of course, Amazon and CreateSpace. We've deliberately avoided Facebook as we see dangers in our personal lives overlapping (in a very public forum) with our business lives, and prefer the likes of Twitter and Google+ to that forum. As an ex journo, I generate a lot of publicity for our books. Fortunately, both are quite controversial in their own way and, of course, the media loves controversy. We plan to establish our own Morcan website in the near future as we realize that's the missing ingredient in our present marketing mix. Yes! Currently, only James has time for writing (he's working on The Orphan Factory, the prequel to The Ninth Orphan) while all my time is currently devoted to marketing and the biz side of our operation. That's a real pain. Do your research first. And go the Amazon route. Amazon seems to have it sorted. They give easy-to-follow instructions on formatting, pricing, marketing etc. And bring your book out as an ebook and trade paperback. The extra work required to format a paperback is worth it. However, first and foremost, ensure you can write (don't just rely on your Mom's opinion) and ensure you have a high concept story people will want to read. 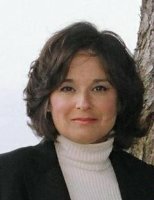 Major challenges you have faced as a writer? Collaborating with a co-writer is always a challenge – artistically and creatively. As I'm based here in New Zealand and James is several thousand kilometers away in Australia, we have to communicate via Skype and email, and that's an added challenge. However, the negatives of our father-and-son collaboration are outweighed by the positives. Two heads are better than one and we 'savagely' critique each other's work. This does create conflict, but it also lifts standards. It's like having an editor permanently on the writing team. Our first priority is to complete the prequel to The Ninth Orphan and get it on Amazon by March if possible. Then we'll turn our attention to the sequel, the third book in the planned Orphan trilogy, with a view to publishing it before the end of the year. As James and I are also screenwriters and film producers, we've adapted both our published novels to feature film screenplays and put them into development with our production co., Morcan Motion Pictures. 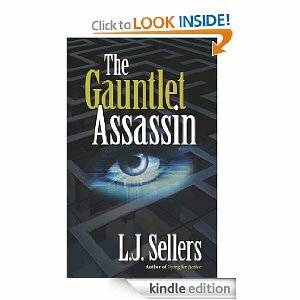 “The Gauntlet Assassin” is the story of 42-year-old Lara Evans, a former cop turned paramedic, in this futuristic thriller. Lara has won her state’s competition for the chance to compete in The Gauntlet, a futuristic Olympics. The prize for winning is a windfall of money and jobs for the competitor’s home state and in the year 2023, this is the best chance for any state to curb the 20% unemployment rate. Federal financial help is non-existent and states are left to fend for themselves. The author gives us snippets of Lara’s previous life as a cop, but there is a fair amount of “telling” instead of “showing” and this stopped me from really identifying with Lara’s experiences and how those changed her into the woman we see in the story. I would have loved to know more about her background, but as she moved onto the competition, her determination, grit and never-give-up drive shines through. Along with Lara’s story is a parallel story about Paul Madsen, a seemingly bland computer data whiz who is given a top-clearance federal project. Throw into the mix is a scandal, a murder and a hunky detective and “The Assassin Gauntlet” is a riveting thriller. Both Lara’s harrowing competition events and Paul’s escalating manipulations of a federal employee database intersect throughout the book and come together in an explosive conclusion. I enjoyed this book, but I found the ending a bit rushed especially between Lara and the homicide detective. The final shocking detail involving a high-ranking officer of The Gauntlet was a little over the top and seemed to be added to justify some moral sense of justice and not particularly necessary to the storyline. All in all, this story is a good thriller about an underdog who refuses to give up and will do whatever it takes to bring home the prize. It’s been over a year since we talked last. What’s been happening? From July 2010 to Spring, 2011, I had two books on Amazon and sold a total of one hundred copies, averaging ten copies a month. One of which is where a few of the stories here in Gates, were, in a collection called Man in the Background. Now while some reviews were very good- I’ll be quite honest- there were one or two private comments as to my self-editing. So I took the books off the market last spring and re-grouped. Tell me about your background & what led you to fiction writing. In the 80’s and 90’s I did a bunch of cartooning and while I made did make some money at it, I wanted to try my hand at writing. 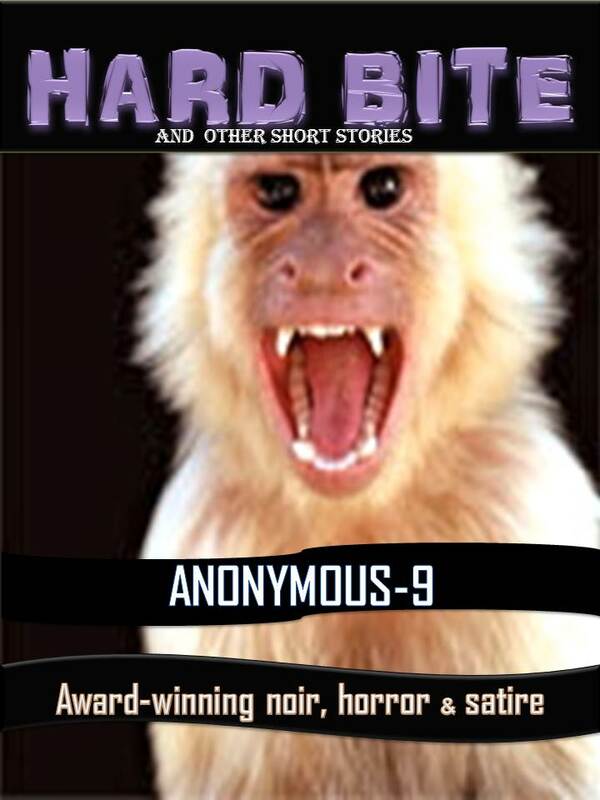 So over the past few years I wrote a dozen short stories and sold three. Considering the competition out there, I think that’s pretty darn good. 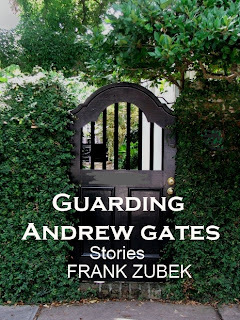 Guarding Andrew Gates, an e-book, is 95 pages and costs $ 1.99. It’s about common people facing problems. From bad relationships to normal every day challenges to encountering quirky behavior in strangers. Of the fifteen stories, the first thirteen are adult literature. One of the last stories in the book has a horror element to it and the final story, the longest at 25 pages, has a touch of the paranormal. It deals with a Cleveland cop who lands a case involving two people who have died from the phenomenon, Spontaneous Human Combustion. So there is a mix of genres but the core of most of the stories are about people facing some sort of problem and how they either handle that problem or at minimum, discovering that there is something wrong that needs fixing. Also, the stories are linked on the contents page so readers can jump from one story to another with ease. Yes. But then, the book will not write itself. So you have to carve out the time from each day and sit down and hammer out a story. The better you are, in theory, at juggling your time as well as getting finished pages done, the more books you can write. The sooner you get a final draft completed the sooner you’ll get others to read it. Aside from some financial return, I think that’s why most writers do this. They have a story to tell and they want to share it. Right now I’m letting people know that its on Amazon and for those who have iPhones, iPads and other devices they can always get an APP. You don’t really need an actual Kindle to read my books. But yes, I am exploring a few other formats to expand my reach. Did you do your own cover? The main character in the final story of this collection, Nick Crowell, is going to be featured in the novel called ‘A Strange Life’ that I’m hoping to release this spring. Nick Crowell is a cop who, after surviving getting shot, encounters people who have weird problems. Strange, Twilight Zone kind of problems. What happens is that he has no idea why this is happening to him and most of the time there is little that he can do for these people. This weighs on him but he still does what he can for them. If sales are good I am thinking of doing a series of e-books with this character. I also have a fantasy and a space thriller I want to finish this year. They are both pretty unique stories and are unlike anything else out there. They are planned as novellas for Amazon. There's something about books that feature assassins that I find intriguing. Some are evil nasty bastards, but there are some that are, well...likeable. How can this be? 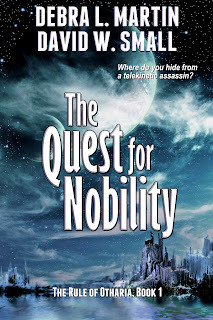 An assassin by definition is not someone most of us strive to be, but sometimes an author does a superb job of balancing the personality on a sword's edge between good and evil. 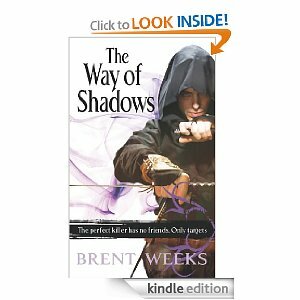 An excellent example is Brent Weeks' Night Angel trilogy. I devoured all 3 of those books and absolutely loved them. A quote from a review says it all for this series: "Kylar is a wonderful character - sympathetic and despicable, cowardly and courageous, honorable and unscrupulous..."
Another series that captivated my attention is by Peter V. Brett. 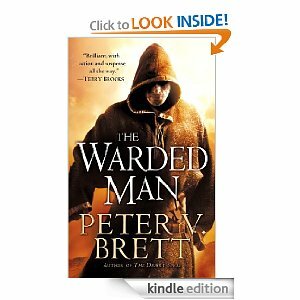 I loved "The Warded Man." 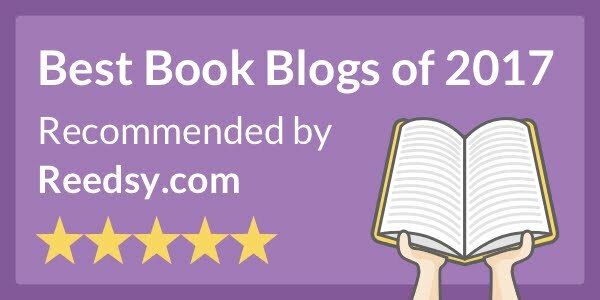 I have not read the other books in the series, not because I'm not interested, but mostly for the lack of time and so many other books that have pushed into my reading queue. Dave and I both share a love for writing about assassins. In our "Rule of Otharia" series, we have Nils, an evil telekinetic assassin. Readers have told us that they "love" to hate Nils. 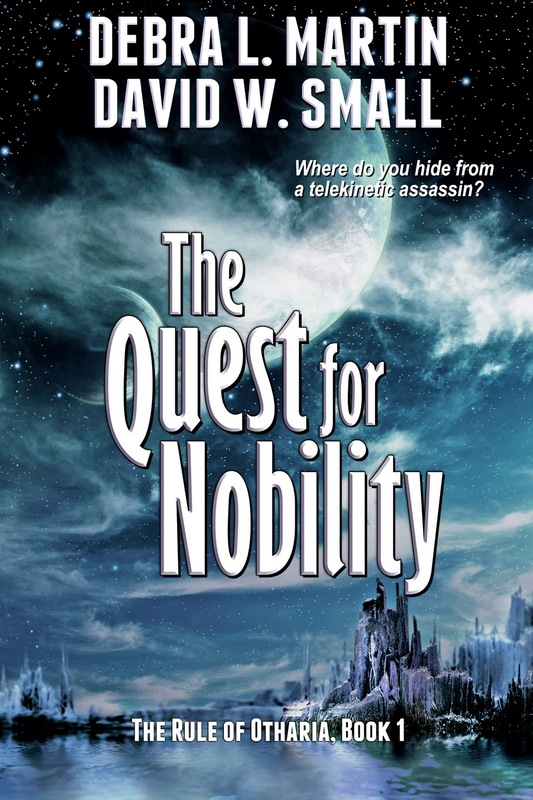 He's depraved, thinks nothing of killing innocents, but is absolutely essential to the storyline in both "Quest for Nobility" and "The Crystal Facade." He will make another appearance in the upcoming third and final volume, "The King's Last Word." 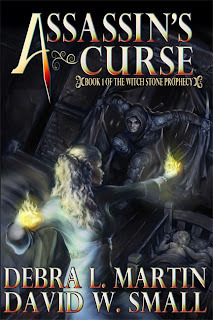 Now in our newest series, The Witch Stone Prophecy, we introduce readers to 2 new assassins, Jeda and Mave in "ASSASSIN'S CURSE". Both have been trained by the legendary Assassin's Guild. One is evil personified and the other is not. Readers will decide if we've done a good job of identifying which one is which. What kind of characters are you drawn to? Do you prefer your hero/heroine to follow a righteous path or can they be more flawed? Years ago I was a panelist at the Los Angeles Times Festival of Books when an obviously perturbed woman stood up in the back of the huge UCLA auditorium and directed a question my way. “How can you write legal procedurals when you’re not a lawyer?” she demanded. “I sleep with one,” I responded. My flippant answer brought the house down, but both the question and the response encompassed the truth about procedurals. Those who read them want the authenticity; those who write them better have a way to deliver. I have always been a justice junky. 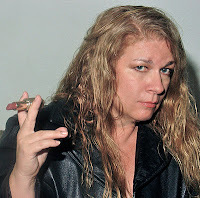 Even before I met my husband I was fascinated by crime and read the genre voraciously. After we wed, I was privy to the rigors of law school, the tension of passing the bar, his experiences as an assistant U.S. attorney specializing in terrorism and organized crime, and, finally, his terms as both a criminal and civil court judge. My interest in his work was not the courteous curiosity of a wife but that of a writer passionate about the law as the basis for fictional entertainment. While my husband was my in-house research, his help could only be given in response to my direction. That meant, I had to know what questions to ask and how to use the information I received. Passion and curiosity are essential. Don’t read professional journals; devour them. Then write with the vigor and confidence of an expert. 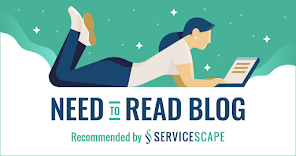 If the passion to understand the professional arena you are writing about isn’t there, your hard-core procedural readers will not take you seriously. Grasp the profession’s standards: Sure, you can deviate from reality for creative purposes but don’t massacre the system. It is one thing to explain why a trial was fast-tracked, quite another to ask the reader to believe a murder trial will start two days after a character’s arrest. 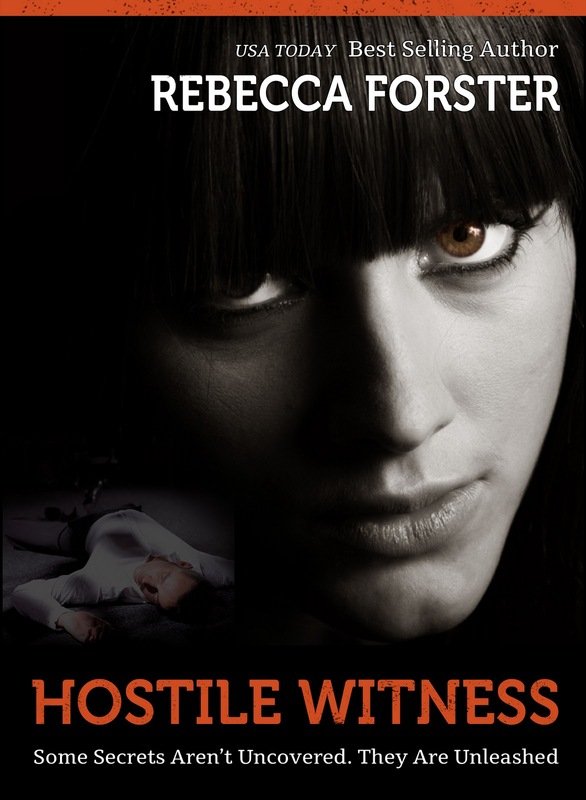 Expand your knowledge to tangential procedures: In my best selling Witness Series Hannah Sheraton is a sixteen-year-old ward of the main character, attorney Josie Bates. In order to write about Hannah and Josie’s challenges, I had to understand how child protective services and children’s court worked. Other books in the series found me researching safety regulations, coroner’s procedures, will provisions, and fathers’ rights. A procedural works best when all the pieces of the puzzle fit together. Talk to a human or watch them work: If you’re not a lawyer, judge, cop or doctor (or married to one) find real world help. Courts and hospitals have public relations professionals to correspond with, most police departments have ride-along programs. 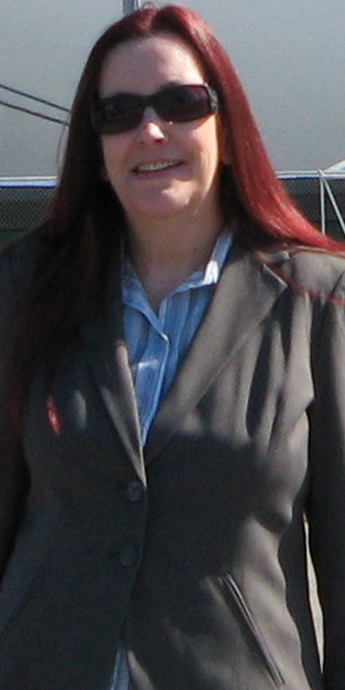 Seek out college and university professors who can help you with forensics, anatomy or police studies. Go to a law school and ask to audit a class. Sit in a courtroom and watch a trial. Courts are open to the public. There you will get a bird’s eye view of how the system works and real life procedures will inspire fictional situations. Always acknowledge those who help you. Understand jargon: Every profession has its own jargon. Listen closely, and use it sparingly and appropriately. Always explain the jargon if the meaning will not be immediately evident to the reader, but do so with a deft hand. Your book should not read like a primer. Understand jurisdictions and designations: A bluff will not fool the procedural reader so understand the parameters of your fictional jurisdiction. There are differences between a federal crime and a state crime, an assistant U.S. attorney and a city attorney, courtroom etiquette and a breach. Utilizing this information will enhance your character and endear you to the procedural reader. Walk a fine line: The procedural is a balancing act between systemic knowledge and artistic freedom. 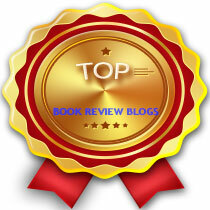 Too much procedure overshadows the story and slows the plot; too little and you are not competing in the genre. Above all, remember that the thrill of a procedural stems from pitting your characters against a big, unwieldy, specialized system that is stacked against them. Understand the system and how your characters challenge it, and you will write a heck of a thrilling procedural. She admitted the gesture was noble. Too bad the solution wasn’t appealing. Not as appealing as hers. “How much time do we have before they come in for us?” Ava pulled the Sun Stones’ pouch from her pocket. “Five minutes,” he said, and she knew he was guessing. Hopefully he was close. Ava laid the stones out in a circle large enough for both of them. Luckily, it wouldn’t take much concentration to get to the TRS, which is where she was required to take him since he wasn’t from her base year and had no knowledge of time travel—as far as she knew. She’d never taken anyone to her beachside paradise in the Time Relay Station. It was her sanctuary; the place she went when she needed some peace and quiet and didn’t have to worry about dangers of any sort. The moment his arms encased her she reciprocated, closed her eyes and laid her head on his chest. Ava imagined them in an embrace meant for a much more intimate exchange. She pictured them on the seaside deck of the beach house she’d created in the TRS. It was nighttime and a gentle summer’s breeze blew in from the ocean. Ava heard Stone gasp as the transmission began. It started at her feet, sizzled up her body until it reached the top of her head and then cycled back down again. Traveling through time feels like an electric shock to all Brokers but Ava, for her it was more like the tingling sensation that happens when your extremities fall asleep. She knew Stone felt none of the pain, but even so, it had to be one hell of an eye opener. And, one he hadn’t been prepared for. But that was nothing. Wait until he figured out what was really going on. In solitude, organize your writing area. If you don't write on computer, lay out two pens, just in case. A pad of lined paper is helpful. Set fire to the area. Let the room get good and scorched before you douse it. Smoldering embers in a few places are okay—there's nothing like the threat of combustion and smell of smoke to inspire a noirist. Sift through the ashes of your possessions and grab whatever material is still left to write upon. If the computer and pens are destroyed, open a vein and write with your own blood on the sooty wall—blood and grime contribute mightily to noir. Anything you write at this stage will be brilliant because it contains the four five essential elements of the genre: loss, pain, desperation and truth about human nature. Let's not forget a glimpse of mortality. If—unlike lions of the genre such as James M. Cain, Raymond Chandler and Jim Thompson—you are unable to reduce your life to ashes for the sake of art, all is not lost. But you must find a way to reach this state mentally before picking up a writing instrument. Bring devastation and lost hope front-of-mind and feel them so sharply that they drive away everything but truth. Particularly destructive to the noir oeuvre are shreds of level-headedness, dignity and esteem. Reckless abandon is a bonus. Follow these 4 simple steps and any writer, no matter how new to the genre, is assured of creating memorable noir. Good luck. May your words burn bright. Plantanimus “Awakening” is part one of the Plantanimus Trilogy. 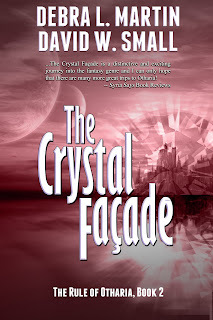 The story begins in the 27th century on the planet Mars, four hundred years after being settled by humans. 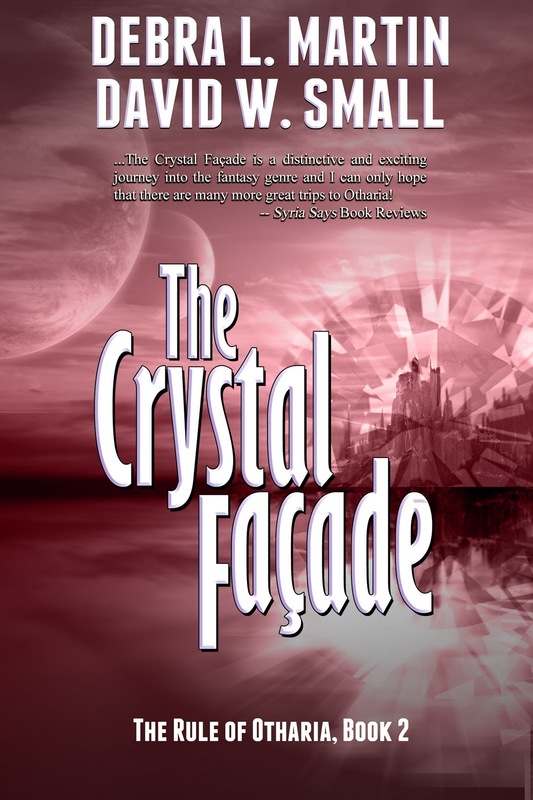 The main character is Kelem Rogeston, a young Martian psychic and scientific genius who is the first member of the 6th Root Race, the next step in the evolution of mankind. Kelem learns to harness his amazing abilities and invents the n’time generator, a device that will carry mankind to the stars. Kelem struggles against The Phalanx, an evil organization from Earth that wants to steal the technology and conquer Mars. He designs an n’time ship and on its maiden voyage accidentally becomes stranded on Plantanimus, an alien planet where the Dreamers, an ancient race of sentient plant life, help him expand his abilities and teach him the true nature of consciousness. I considered it at first, but I decided I didn’t want to wait for an established publisher to make an offer. That does not mean that I wouldn’t welcome an offer from an established publishing house. Plantanimus “Awakening” is the first book of a trilogy, so I would be open to a publishing deal that would encompass the first book or all three books. 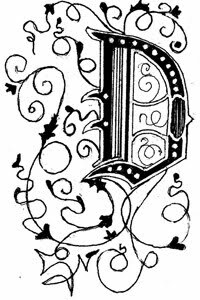 What finally convinced me to self-publish was Xlibris. I went with them because they offered me an incredible discount on their “Executive Package” which came with distribution to all the major sellers such as Amazon, Barnes and Noble etc., plus eBook conversion, book returnability, [this feature guarantees brick and mortar retailers that they won’t get stuck with unsold stock on their shelves] as well as online promotion and marketing. Xlibris offered two full rounds of editing which I used, however, my life partner Barbara and I had already gone through seven rounds of proof reading prior to submitting the final draft of the book. Patience! Self-publishing is usually a faster way to put your book out there as opposed to the traditional route of signing with an established publisher, but it is not an instant thing. The first thing I recommend for first timers like me is to make sure that your book is as good as it can possibly be. Don’t be afraid to re-write or change things. You’d be surprised how many mistakes and inconsistencies you will find in your manuscript if you take the time to put it away for a week or two, before proof-reading the entire thing. 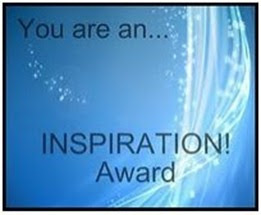 Do it as many times and you can stand it, even if you think that you’ve caught all the mistakes in grammar and spelling. Even now that the book has been published, I still found a couple of things that I’ll have to correct during the next printing! Be organized and be prepared. Read/research as much information as you can digest regarding self –publishing companies, marketing etc. 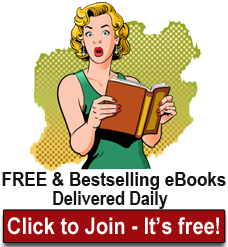 Thousands of books are published every month and yours is just one of many competing for that market share of business in whatever genre you write in. If you can afford it, join an organization like Authors Learning Center or IBPA, (Independent Book Publisher’s Association) or any of the many other organizations out there that exist to help and support independent, self-published authors. Yes. 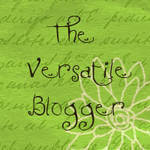 Barnes and Noble and my own two websites; www.Plantanimusbook.com and www.PlantanimusTrilogy.com. The latter only sells the paperback version of the book. 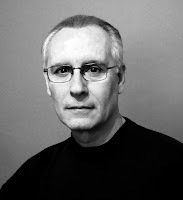 Aside from Xlibris’ marketing campaign, I have a blog on AuthorsXpress at: http//authorjosepharmillas.authorsxpress.com, I’m on Facebook, My Space, @JosephArmillas on Twitter, and of course Author’s Learning Center. 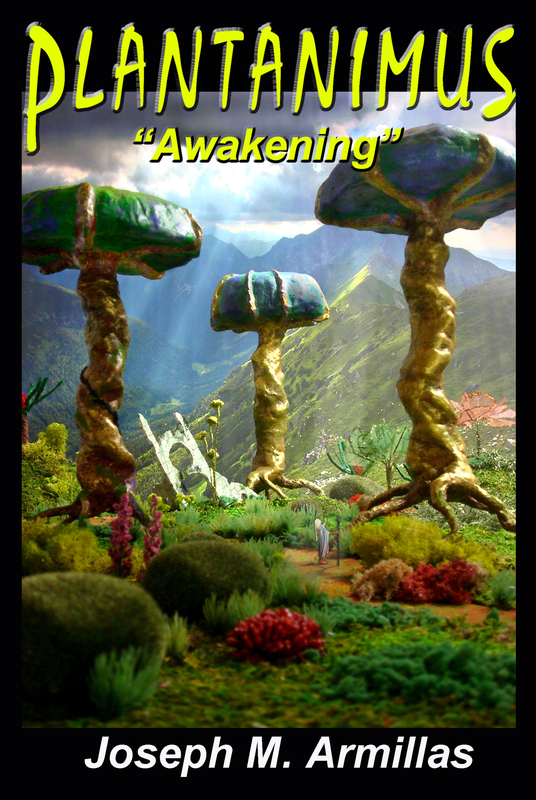 I also have a very slick 60 second promo video for Plantanimus “Awakening” on YouTube: http://youtu.be/P-im0HswqBA and an interview of me, on LifeForceEnergetics.com , also on YouTube: http://youtu.be/JF-Ru5dgldM. In concert with Xlibris’ marketing I will be hiring an independent publicity expert to help me with additional promotion, personal appearances such as book signings, interviews etc. Yes. But I’m organized and I spend a tremendous amount of time taking care of business. Like most creative people, (particularly writers!) 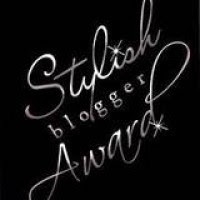 I’ve been known to be a bit of a procrastinator, but over the years I’ve become very disciplined and learned that one must approach writing and business in equal measure, particularly if you’re self-publishing. I schedule a certain amount of hours of the day for writing and another portion of my day for promotion and marketing. I’ve learned to manage my time well because I also work as a professional actor in film and TV. I’m a member of SAG and AFTRA and I work four to five days a month. I recently appeared on Lil’ Wayne’s latest video of his newest song, “How To Love”, playing a doctor. I also have an interview show that I host on YouTube, called LA Interview. 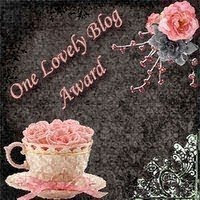 I plan to begin a series of writer’s interviews in the near future. I want to give other self-published writers a chance to get their work known by the public. What inspires you to write, and in particular what was the genesis of the Plantanimus Trilogy? I grew up in a very artistic creative family. My mother and father were in show business. My mom, Margarita Lecuona, was a very well-known Cuban songwriter. She wrote Babalu, made famous by Desi Arnaz on the “I Love Lucy Show”. My dad was an Argentinian actor/singer/dancer. Both always encouraged me to experiment with my creative side. I began writing short science fiction stories in grammar school and I never stopped. I also had a successful career as a musician for over thirty years. So I’ve never been short on inspiration. My problem with writing for many years was discipline, which is why it took me so long to finally become a serious writer. The inspiration for Plantanimus came from a dream that I had over three consecutive nights in the summer of 2000. I’ve always been able to “lucid dream”. It’s an ability that came naturally to me, so it was very easy for me to remember the arc of the story and write down the entire three part dream which eventually became the three books of the Trilogy; Plantanimus “Awakening”, “Return to Mars” and “The Gulax War”. I’m heavily involved in the marketing and promotion of Plantanimus “Awakening” at the moment, but when time allows, I continue proof reading Return to Mars, and doing some minor re-writes on The Gulax War. I’m also working on the last few chapters of a fourth book which is connected to, but not part of the Plantanimus trilogy, titled Reunion. That one’s on the back burner but I pick at it whenever the muse comes. Additionally I’ve recently began to lucid dream a follow up to the previous four books, tentatively called “Kelem’s Ascension”. That one is still in its cocoon stage, but I’m writing down everything that comes my way the moment I wake up! All are part of the same universe that comprises the story of Kelem Rogeston.